Widely used in Scandinavian and East Indian cooking. 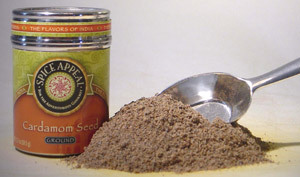 Sprinkle on savory dishes to give a sweet flavor to coffee, meatballs, yogurt and puddings. Used as a substitute for cinnamon in Danish pastries, cookies, cakes, breads and apple pie.